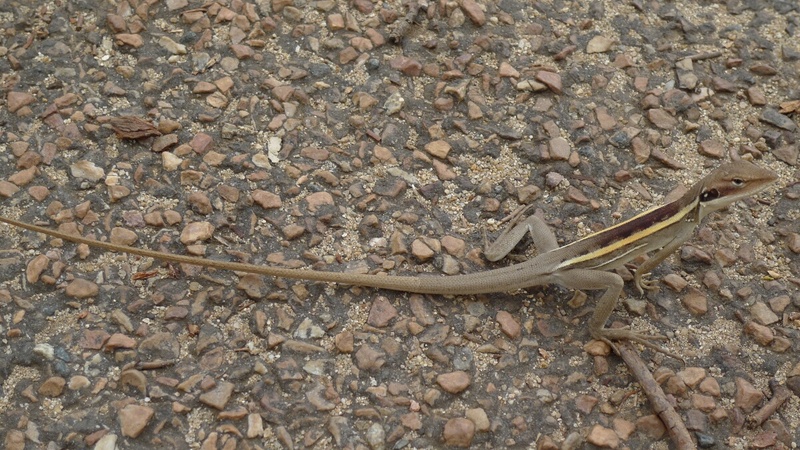 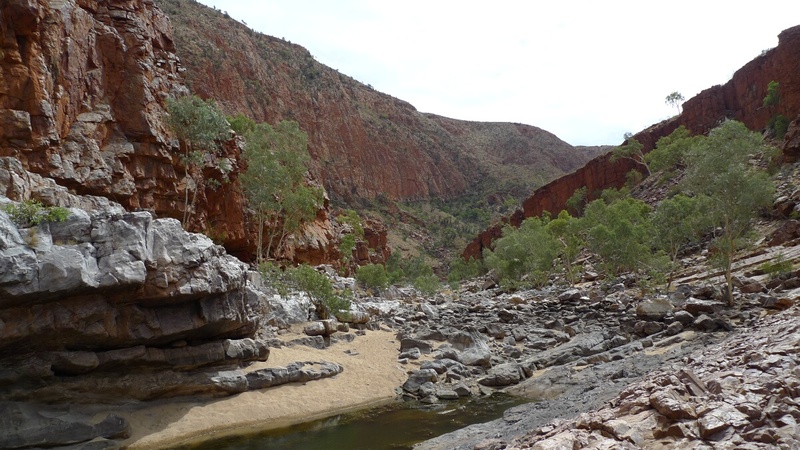 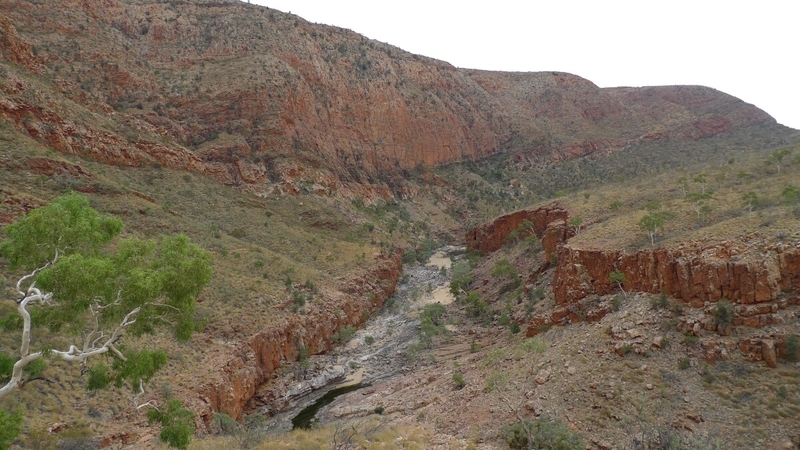 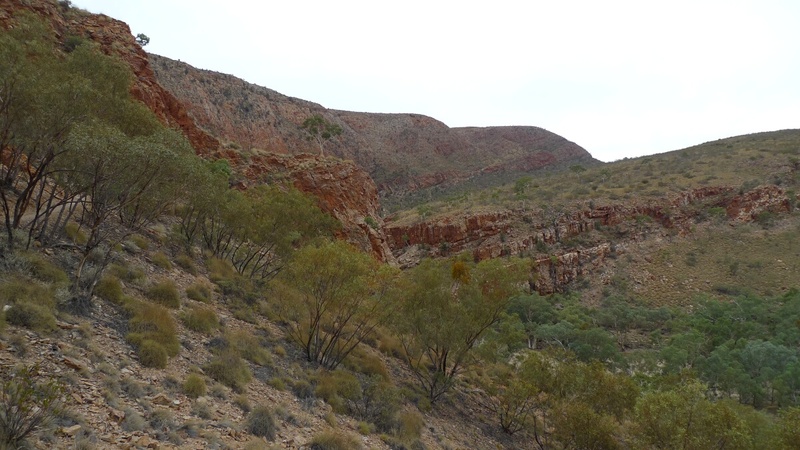 The final stop on our trip along the West MacDonnell Ranges was Ormiston Gorge. 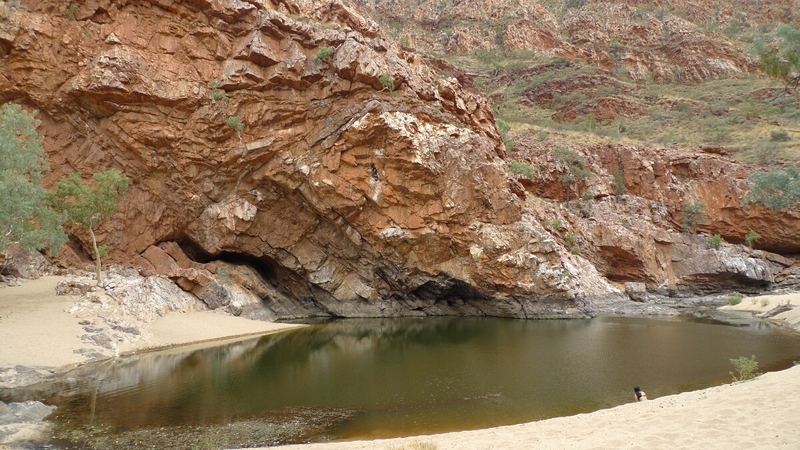 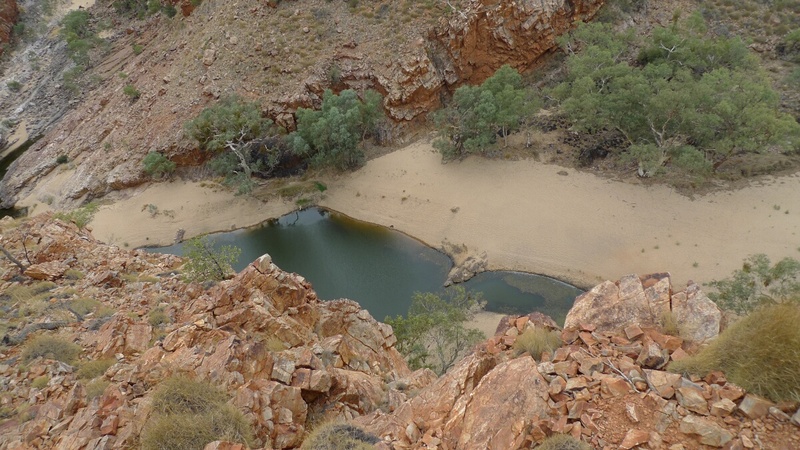 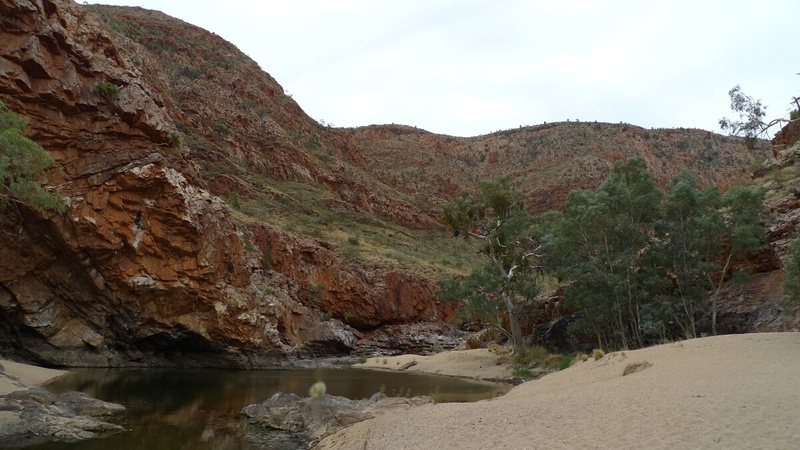 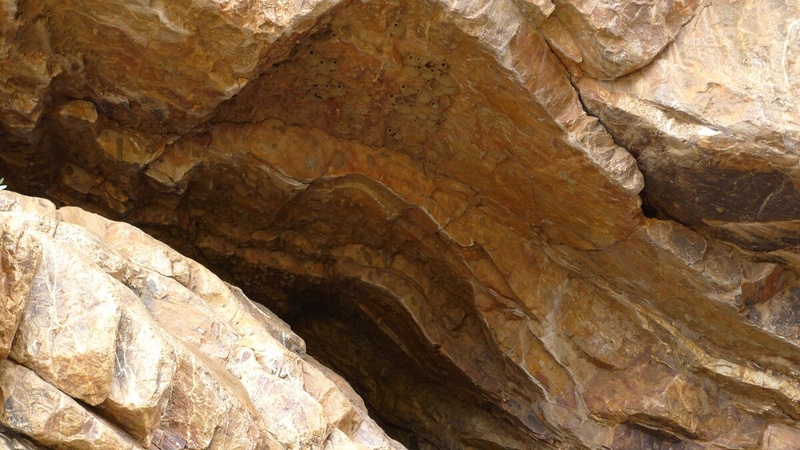 The Gorge is another beautiful gap in the ranges with a permanent water hole big enough for swimming and a nice camp site next to it. 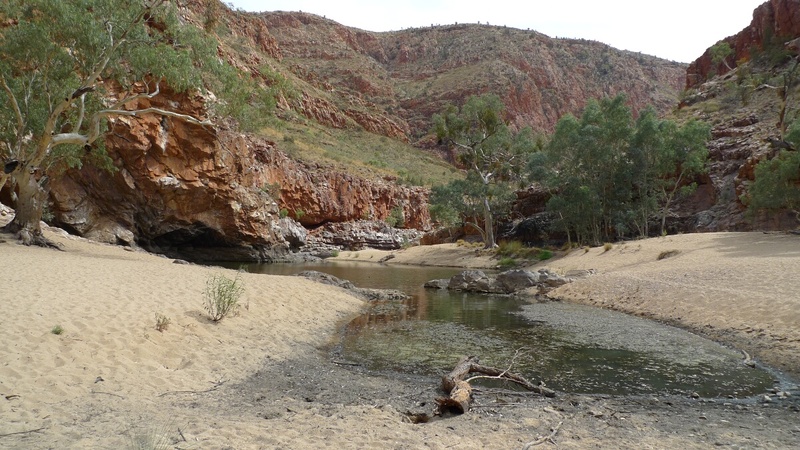 It feels a little bit like Ellery Creek but there are fewer people and it has the Ormiston Pound walking track is a round trip that takes you in about 3 hours around the Western elevation along the Ghost Gum Lookout and back through the gorge. 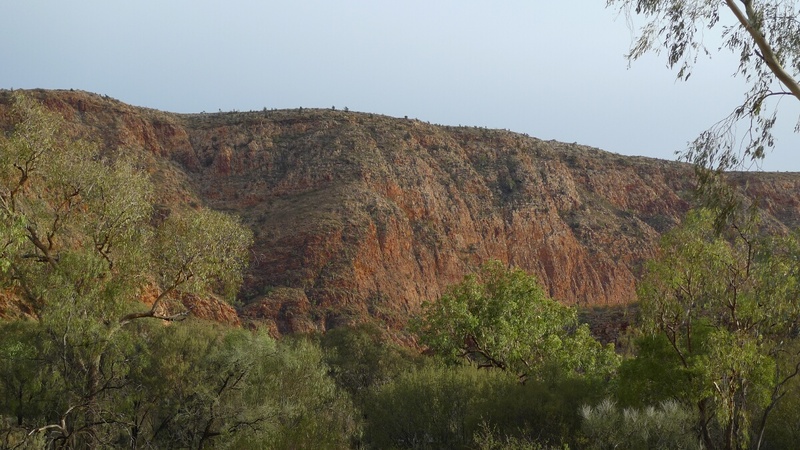 The track provides many good viewpoints of the gorge and the Ghost Gum Lookout is just 20 (steep) minutes away from the trail head, definitely worth it.